What is Isolate Zero by Inner Armour? 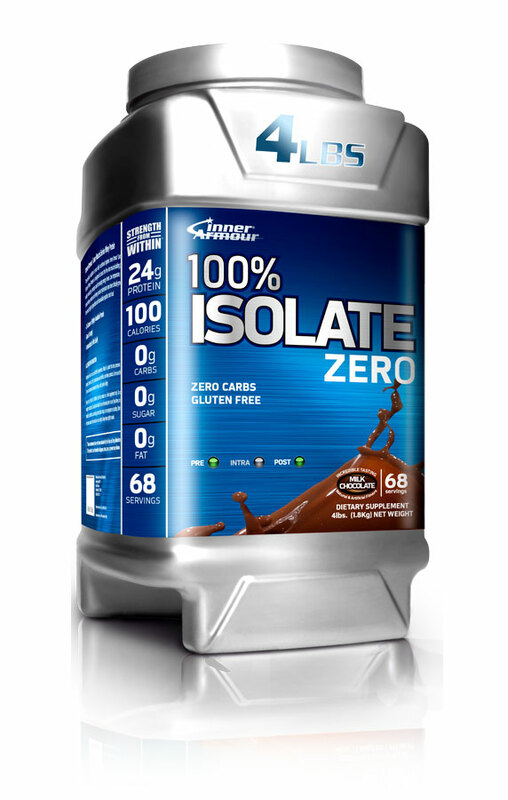 Isolate Zero from Inner Armour uses the most pure protein isolates from highly refined sources. Using advanced and researched filtration processes, unwanted fat, sugar, carbohydrates and cholesterol are able to be removed, leaving you with only the purest of protein available with zero carbs and low calories. The advanced filtration process used allows for Isolate Zero to be absorbed as rapidly as possible, giving you the best ability possible to build muscle. 24gm of High Quality Protein. As a dietary supplement, mix 1 scoop (26.5g) with approximately 5-6 oz of cold water or milk. Additional servings may be used to meet your daily protein requirements. Buy WPI Isolate Zero Protein Powder from Fitness Market and save! With our efficient dispatching and quick delivery throughout Australia, WPI Isolate Zero Protein Powder can be yours sooner. Below you can rate and add reviews for WPI Isolate Zero Protein Powder.